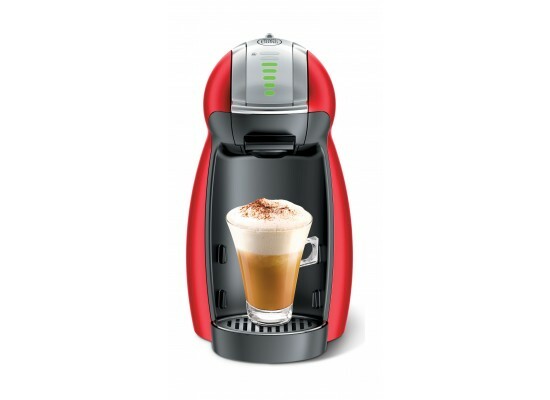 Customize your coffee with GENIO play & select – the playful yet powerful NESCAFÉ Dolce Gusto machine. 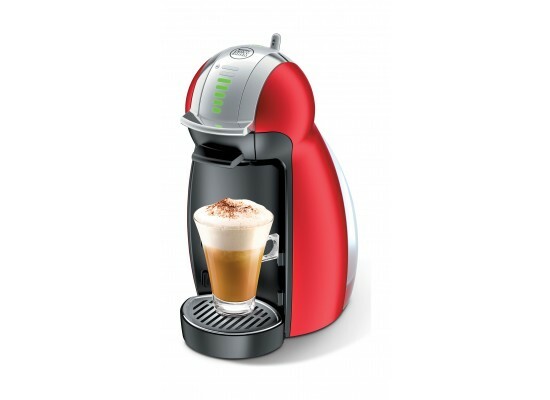 Simply scroll the mouse wheel or follow the recommended dosage on the capsules, to effortlessly create hot drinks and coffee that are tailor-made for your taste buds! 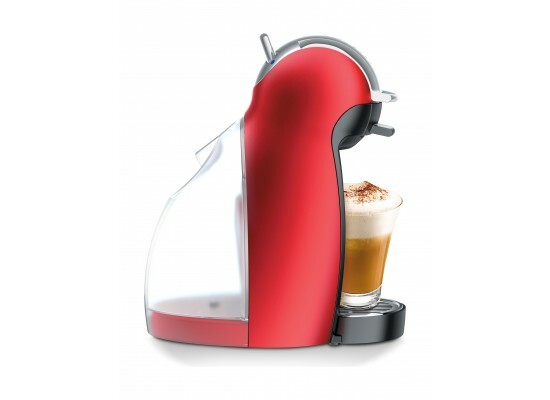 The convenient single-serve capsule system easily prepares 19 different NESCAFÉ hot and cold drinks. 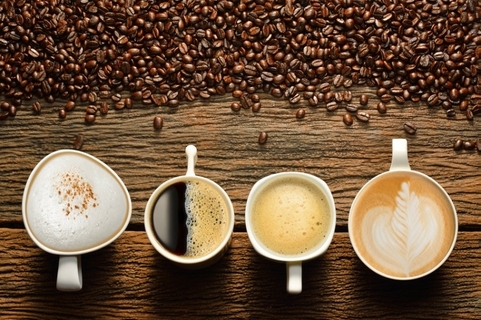 Enjoy gourmet coffees, lattes, cappuccinos, iced drinks and more. 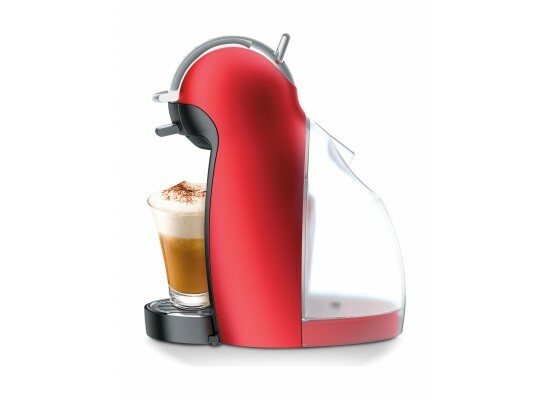 Producing 15-bar pump pressure to extract the full flavor locked in every ready-to-use NESCAFÉ capsule .The 15-bar automatic pressure produces authentic espresso and the perfect crema with its powerful high-pressure pump and pressure delivering the golden crema on top of your coffee, a true sign of coffee shop quality. 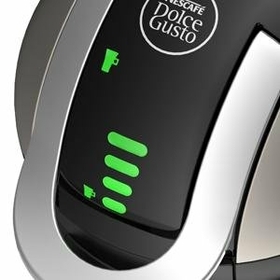 The flow-stop system in dolce gusto Nescafe genio2 coms with innovative 7-level LED lets you customize beverage strength to suit all tastes. 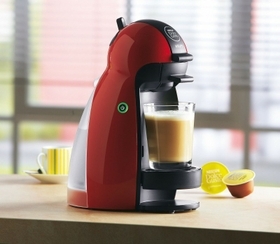 Its 7-level LED display controls let you customize flavor strength to your liking. 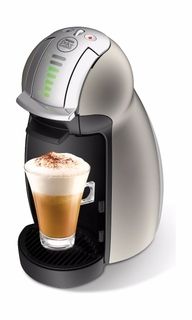 Thermoblock heating means no preheating or waiting for the hot beverage of your choice. So this heating Technology with adjustable temperature controls saves you time, with no preheating required. 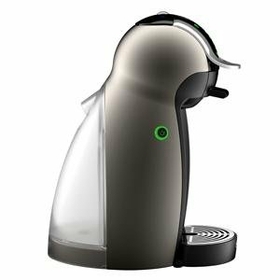 The height-adjustable drip tray accommodates cups of all sizes, and its energy-saving stand-by mode automatically switches off after five minutes of inactivity. 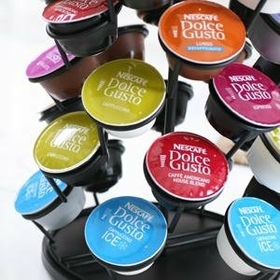 The NESCAFÉ Dolce Gusto pods automatically regulate the pressure needed to create a bold shot of espresso or just a delicate touch for the frothy milk in a cappuccino. 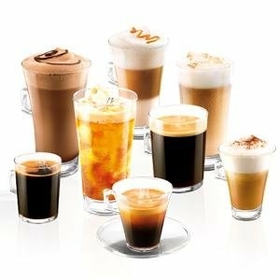 The unique hot or cold settings allow you to enjoy delicious iced drinks as well.